Many are privy to conversations that preclude, "Milan isn't really my favorite city." 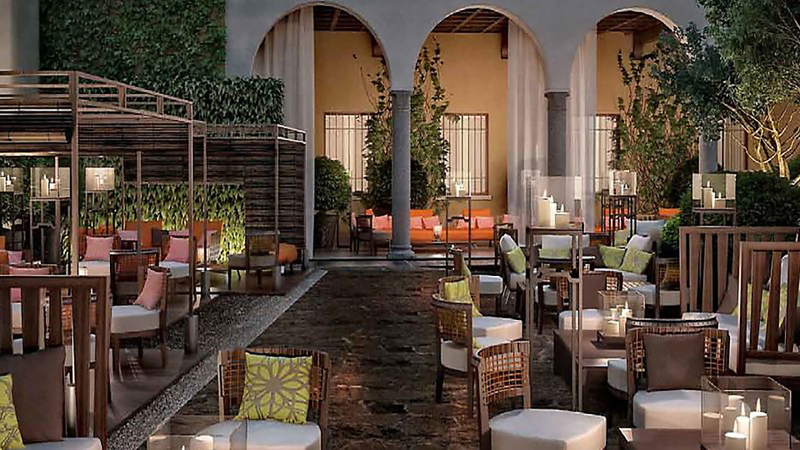 A working urban center and industrial hub, Milan also touts the best collection of luxury hotels of any Italian city. 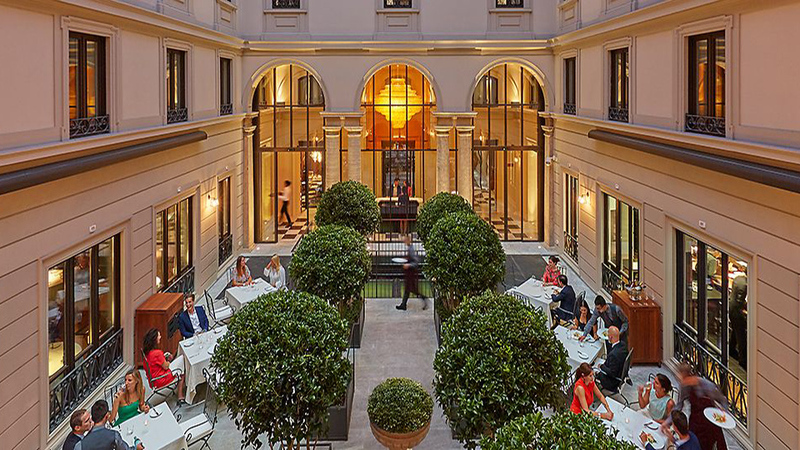 Mandarin Oriental arrived late to the game, after Armani and Park Hyatt, within a historic compound of architectural 18th Century maisonette and 20th Century bank with central address near La Scala and interiors penned by Antonio Citterio. A grand atrium lined in glass contains a glittery reception with black and white marble floors and Doric column details capped in ornate crystal chandeliers. 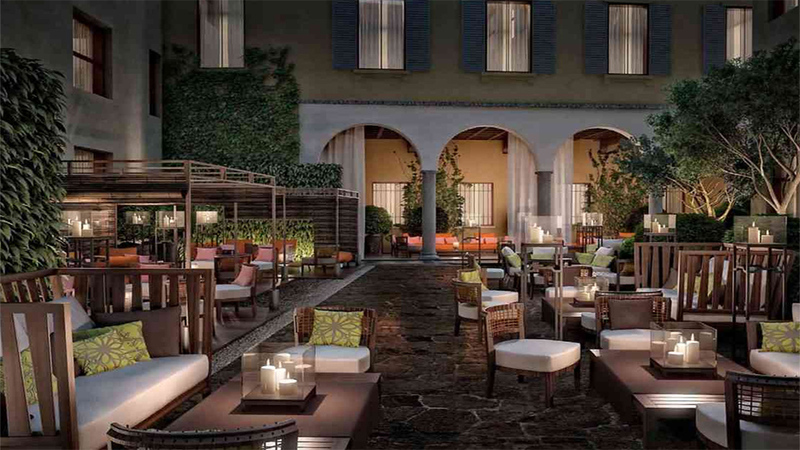 Its location is one of its best attributes, a short walk to Via Montenapoleone and Via della Spiga with in-house Italian eatery by a Michelin-star chef as well as more casual lounge bar with terrace scene for summertime afternoons. 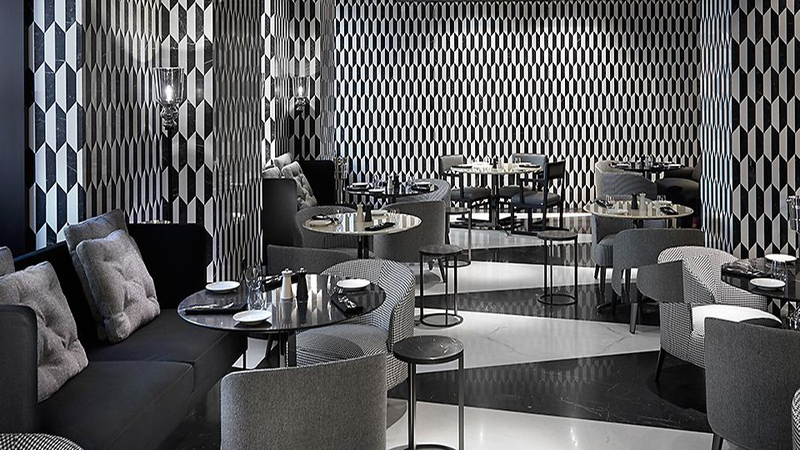 A typically eclectic design duo, Citeero and partner Patricia Viel leave a more muted luxury statement with spare contemporary decor and heavy ornamentation using marbles and limestone. The in-house spa competes with some of the best luxury chains in town, with indoor pool and specially outfitted VIP treatment suite available on request. 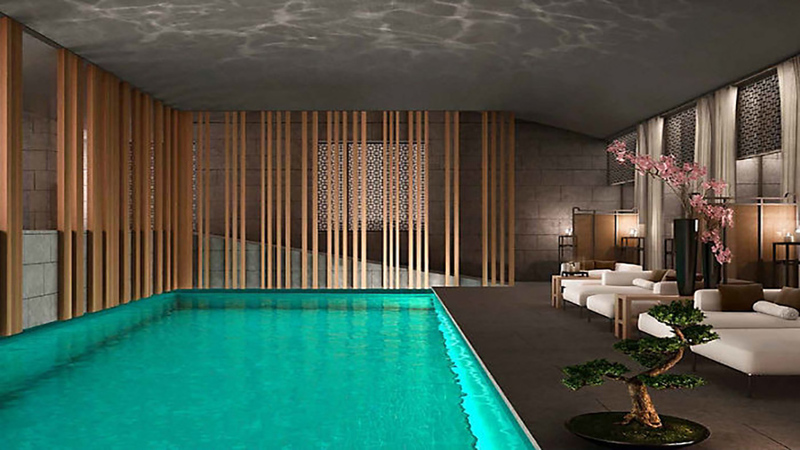 A small hotel considering other locations of Mandarin Oriental, a total of 104 rooms and suites define the Milan flagship of this Asia-based chain. 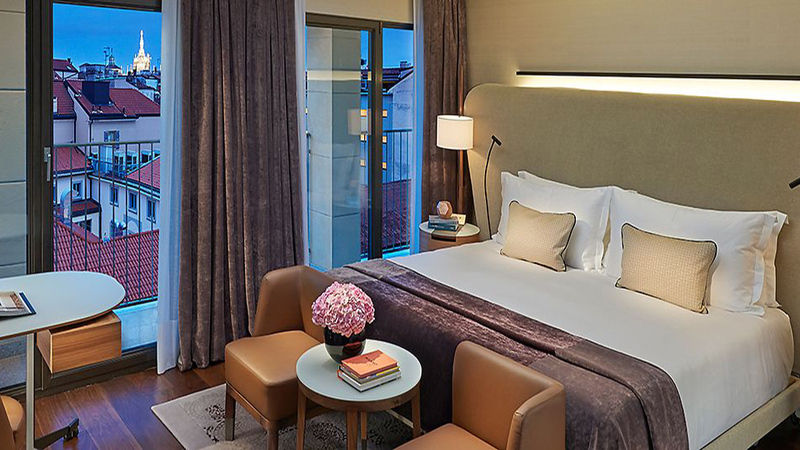 A medley of European design and eastern aesthetics define guest rooms penned by Milan-based Antonio Citterio. Maple hardwood floors mix with floor to ceiling windows trimmed in sheer draper with dapper collection of upholstered decor and more tempered, conservative accent pieces. Deluxe rooms are well sized with city or courtyard views, but better are the Junior Suites with terrace and upgraded configuration of living and sleeping spaces.